Happy Monday! Hopefully it was a restful, happy weekend! Heather & I finally got our tree on Saturday, & we've since been scheming ways to decorate it as we're starting from scratch. We're not done quite yet, but we have come up with a theme: Currently I am smitten with the winter weather (check back with me in late February), & Heather's right there with me as it's her first snow. Because we're crushing on the cold so much right now, we're decorating our Christmas tree all snowy! Well, sort of - mostly we're just sticking to a white color theme. 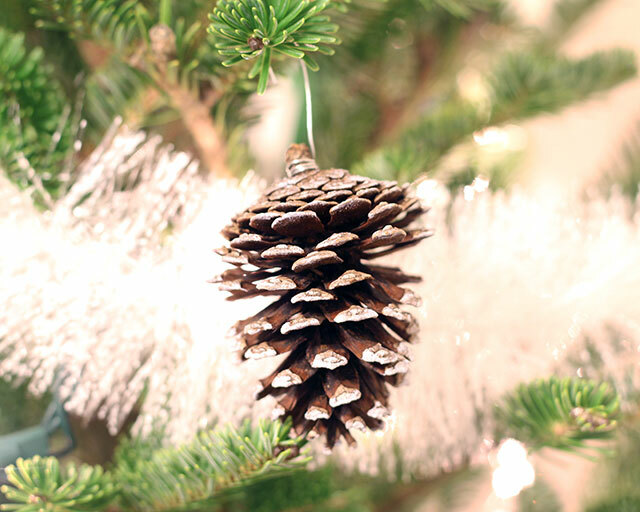 I got a couple different kind of ornaments made this weekend, & my absolute favorite are these frosty pine cone ones. 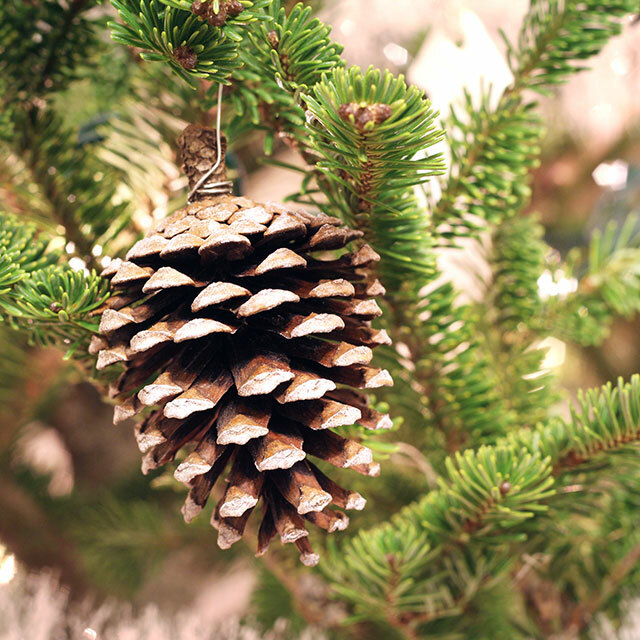 These pinecones were a much needed addition to the tree. Turns out all-white can get tacky real fast, but throwing some natural looking ornaments in the mix seems to be balancing it out. 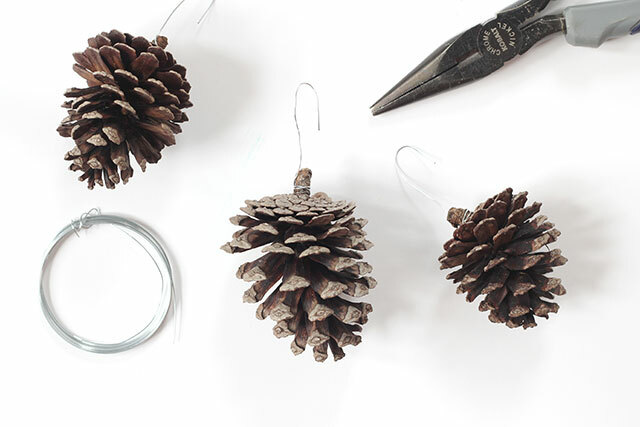 Start by wrapping wire around the stems of the pinecones, then curling the end of the wire to form a hook. 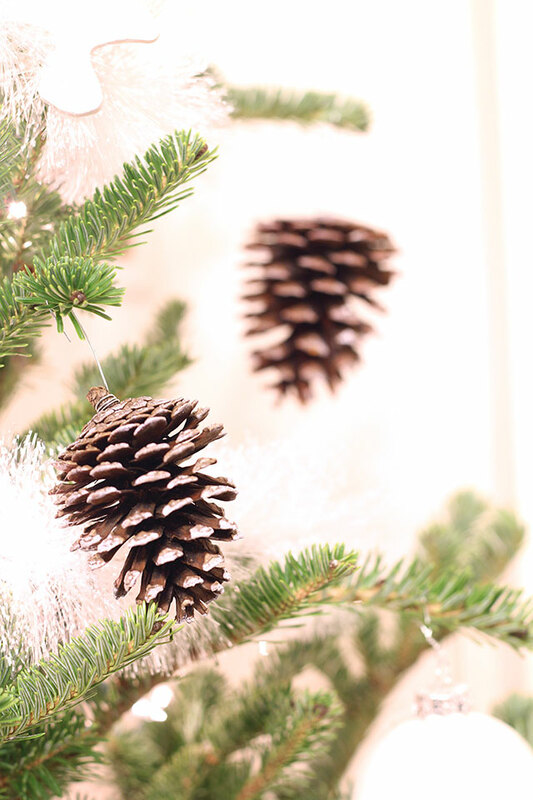 If your pinecones have lost their stems, you can alternatively use hot glue to adhere the wire to the pinecone. 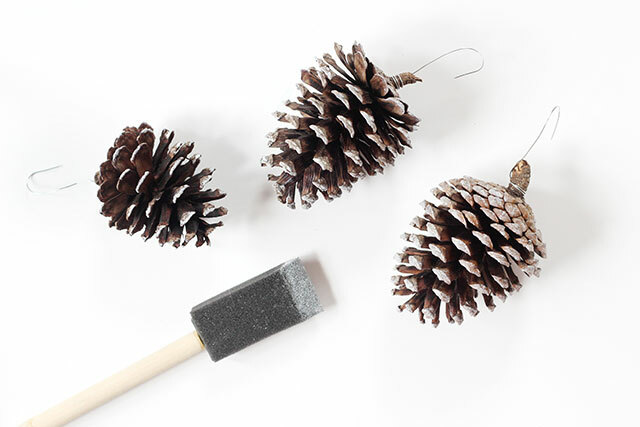 Next, dip your brush in white paint, but dab it a bit on another surface (like a piece of paper or cardboard) before you paint your pinecones (this keeps it looking more frosted & less like globbed-on wet paint). Dab the edges of each segment in the pinecone, & a little on top. P.S. Decorate the hearth with a cozy snowflake fireplace screen. Love the natural look it gives. I need to do this to our tree.